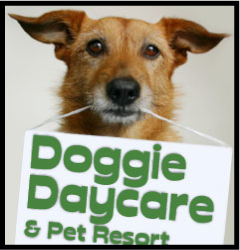 Carolinas Critter Sitters Doggie Daycare & Pet Resort provides a safe, fun, and stimulating social environment for dogs. To ensure the safety and health of your dog(s), we require all guests to comply with the following rules and regulations. Safety is our PRIORITY. PLEASE, PLEASE PLEASE READ the following information. All guests must submit a complete Daycare Enrollment Application, General Information and Policies, and Owner Liability form PRIOR TO YOUR STAY WITH US. All dogs must be at least 16 weeks of age or older. All dogs must be in good health. Owners will certify their dog(s) are in good health and have not been ill with a communicable condition in the last 30 days. Upon admission, all dogs must be free from any condition which could potentially jeopardize other pets. Dogs that have been ill with a communicable condition in the last 30 days will require veterinarian certification of health to be admitted or readmitted. All dogs must be non-aggressive to ALL TYPES and SIZES of dogs. Owners will certify their dogs have not harmed or shown an aggressive or threatening behavior toward any person or any other dog(s). Please remember: your pet will be spending time with other dogs and the safety and health of all animals is our main concern. • SAFETY ISSUES: In order to maintain a safe play environment for the dogs, any dog that misbehaves will be given a time-out from the group play area. Because excessive barking can escalate the intensity of the pack dynamic, we reserve the right to use squirt bottles, shaker cans, garden hose, whistle, and noise can if we feel it is necessary. We recommend that you bring your dog’s food to avoid causing possible digestive issues (diarrhea, gas, upset stomach etc). • We provide meals based on each individual dog’s needs at breakfast, lunch, (when applicable), and dinner. • We cannot allow food to remain down at all times in your dog’s suite in order to prevent ants and mice. If your dog is a free feeder, he or she will be provided a meal 3 times a day. o Divide EACH meal into its own, separate ziplock bag. o Label each bag with special feeding instructions (i.e. add water, add wet food, must hand feed etc.). • You will incur a CHARGE of $1.50 PER MEAL for meals that are NOT prepackaged. We set meals up ahead of time, in their prepackaged bags in bowls. Non-prepackaged food must be prepackaged by our staff. Food CANNOT sit out unpackaged. Unpackaged food encourages flies, ants and mice. • If you forget to bring your dog's food or you don't bring enough for their stay, we will gladly provide our house food for $2 per meal (please note that changing your dog's regular food will most likely result in diarrhea). • Also, we provide our guests with small treats throughout the day. Please let us know when you check in if you do not want your dog to have any treats or peanut butter. Owners understand that supervised off-leash socialization and interaction between our guests what we do. Owners understand that our guests are provided approximately 11 hours of play time with access to our ¾ acre fenced back yard allowing them to romp, run, play, kanoodle, swim and sleep at their leisure. Owners also acknowledge that dogs are unpredictable in behavior, are aware of the risks involved in such play, and assume all risks. Accidents can happen from time to time and could include a cut paw or a scraped leg from free play with other dogs. Also, with our natural outdoor area, dogs have the opportunity to be dogs and could possibly hurt themselves. Owner must understand that our environment is very different from life at home. 11 hours of free time is generally VERY different from life at home. They will run and play hard, scrape their paws, pick-up sticks, chew on twigs, grass, you name it! • ID: A collar with an ID tag WITH your dog’s NAME on it. • FOOD: For dog’s requiring meals during their stay, see the Feeding Instructions above. Failure to follow instructions will result in additional fees. • Medications with completed medication instruction form. This form is located on the GET STARTED tab of our web site carolinascrittersitters.com. Click Daycare/Boarding. Click Get Started. Follow instructions. We provide a raised bed for your dog’s comfort. Please feel free to bring items you would like your dog to have when in their personal suite (anything with familiar smells such as shirts, blankets, towel, etc. will help your dog settle in comfortably). Carolinas Critter Sitters will do its best to return your dog’s items in good condition; however we are not responsible for lost or damaged articles brought from home. Crates: If we feel your dog is in danger to him/herself, (i.e. climbing out of our suites, chewing on their gate rails, etc.) a wire crate will be provided for your dog for his/her safety. Safety is our upmost priority. • Food or water dishes as we supply them and don’t have the space to store yours. • RAWHIDE - It is a choking hazard and chewing them requires constant supervision. • Your dog’s entire vet file, we simply need the records listed above and we do NOT want to misplace your file. NOTE: WE CLOSE DAILY FROM 12-2 FOR NAP TIME. Daycare dogs not picked up by 7:30 pm daycare dog will be boarded at owners’ expense. Boarding dogs NOT picked up by 11:00 am will be charged $18 for the ½ day of daycare. By appointment 9:00am -12:00pm and 2:00pm - 6:00pm. 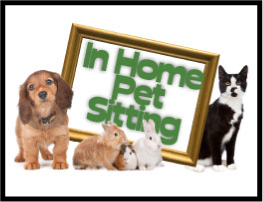 Carolinas Critter Sitters Doggie Daycare & Pet Resort is CLOSED on all major holidays. Reservations can be scheduled online with the user name and password you created when you registered. It is best to plan a couple of weeks in advance in order to obtain services on the dates you desire. We will do our best to accommodate last minute requests. Cancellations with less than 24 hours notice will be charged full fee. We understand that things happen that cause plans to change. In the event that you return home early, you will be charged full cost for scheduled boarding within 48 hours of your unscheduled early return. Any remaining balance for early return cancellations will be credited to your account for future boarding needs. 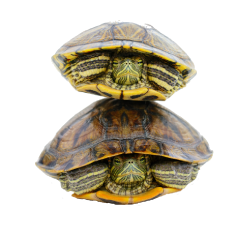 Carolinas' Critter Sitters accepts payment services via Visa, MasterCard and Discover credit and check cards processed through Authorize.net and BB&T. When you register on Carolinas' Critter Sitters TRUSTWAVE SECURE web site, you will enter your credit or check card information. The credit card on your profile will be charged at drop off. Our Policies, Procedures, Services and Rates may change from time to time. While we will attempt to notify you of these changes, it is ultimately your responsibility to check back on our website regularly so that you are aware of our most current Policies, Procedures, Services and Rates. We reserve the right to refuse service to anyone at our sole discretion.